Enjoy reading and share 2 famous quotes about Analytical Psychology with everyone. 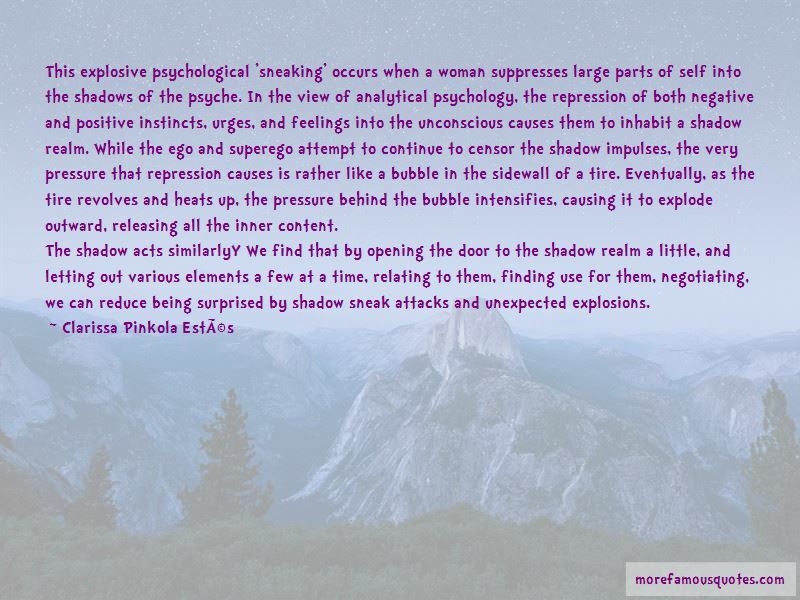 “This explosive psychological 'sneaking' occurs when a woman suppresses large parts of self into the shadows of the psyche. In the view of analytical psychology, the repression of both negative and positive instincts, urges, and feelings into the unconscious causes them to inhabit a shadow realm. While the ego and superego attempt to continue to censor the shadow impulses, the very pressure that repression causes is rather like a bubble in the sidewall of a tire. Eventually, as the tire revolves and heats up, the pressure behind the bubble intensifies, causing it to explode outward, releasing all the inner content. 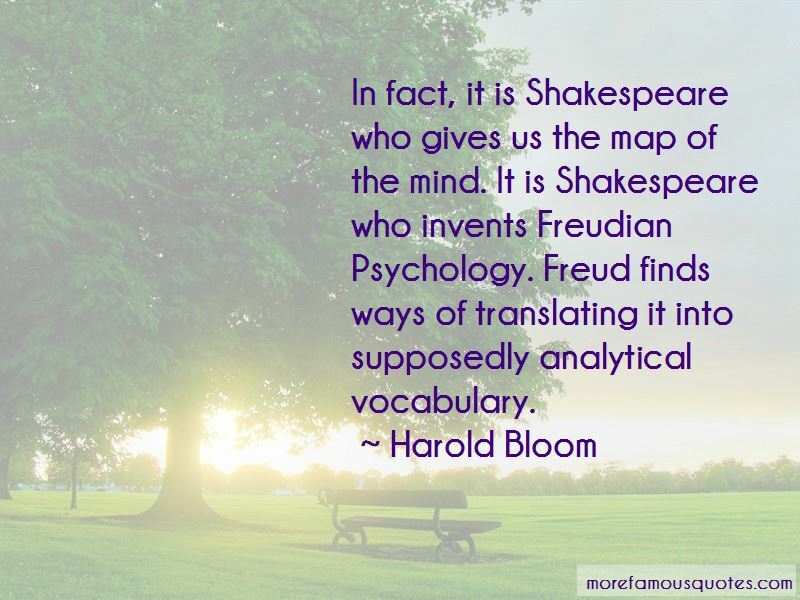 Want to see more pictures of Analytical Psychology quotes? Click on image of Analytical Psychology quotes to view full size.